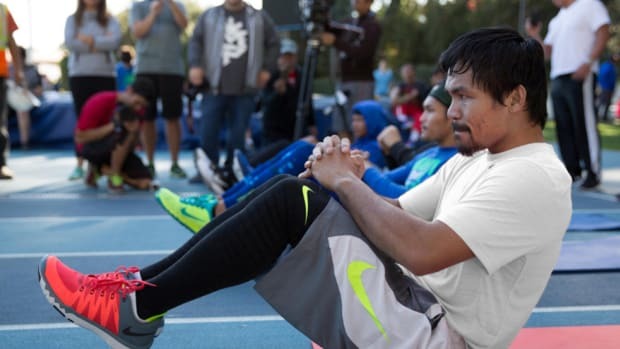 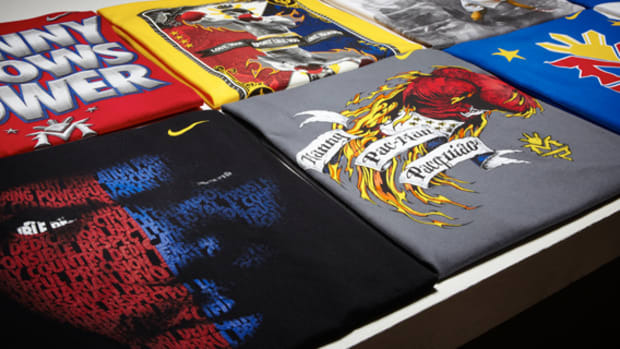 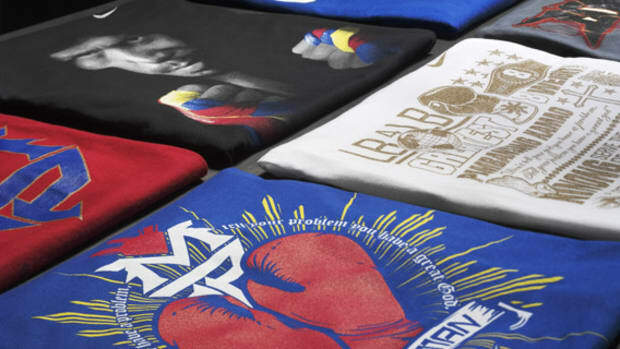 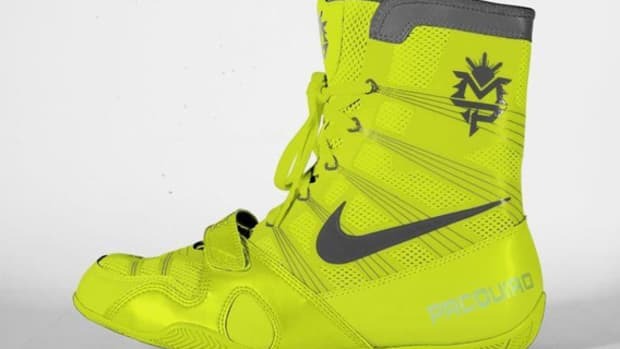 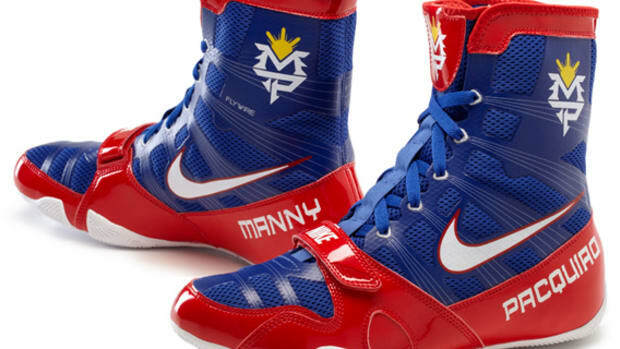 While colorful trunks, robes, and languages are still expected on Saturday, May 7th, as Manny Pacquiao defends his WBO Welterweight World Title against "Sugar Shane" Mosley, one ostentatious display with be missing are Pacquiao&apos;s new boxing boots. 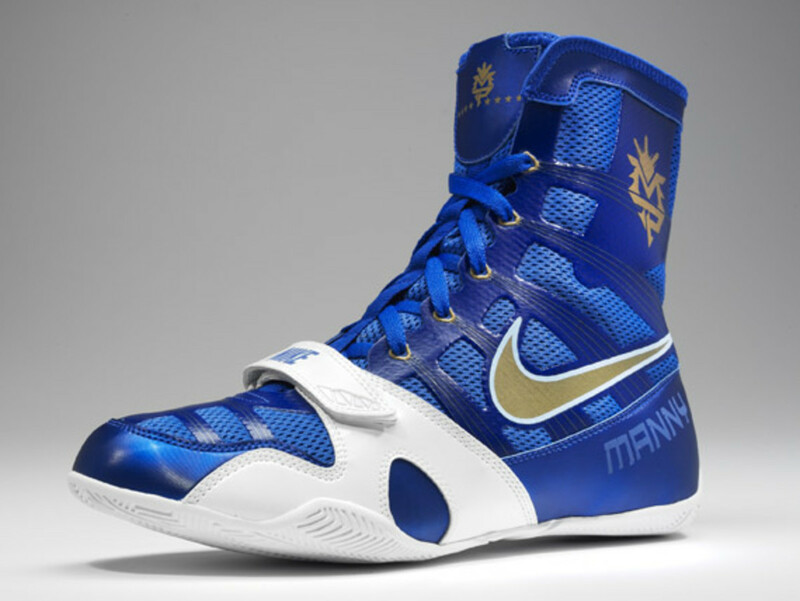 Devised by Nike Training and the fighter himself, the new Boxing Boots for the title fight were meant for "business". 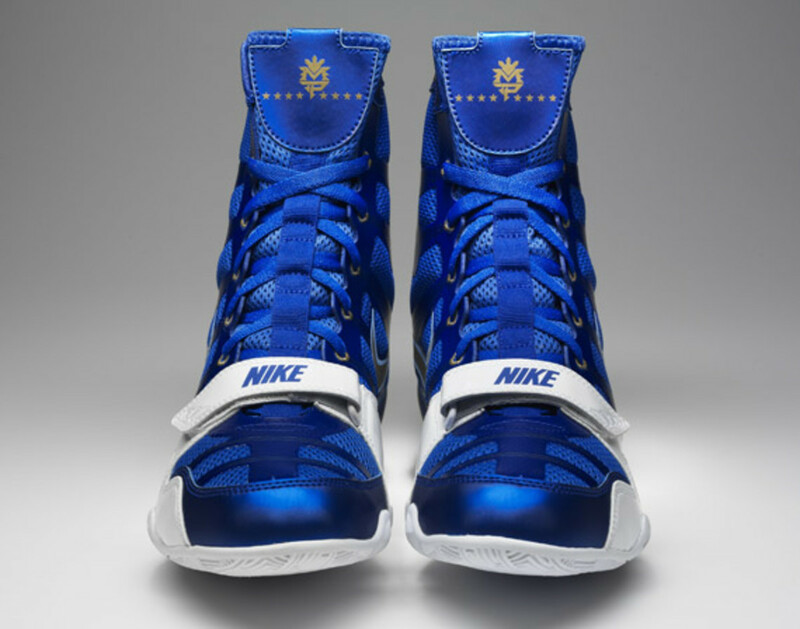 Gone are the tassels, instead, designers added even more strings of Flywire, as well as a midfoot strap to keep the fit taut. 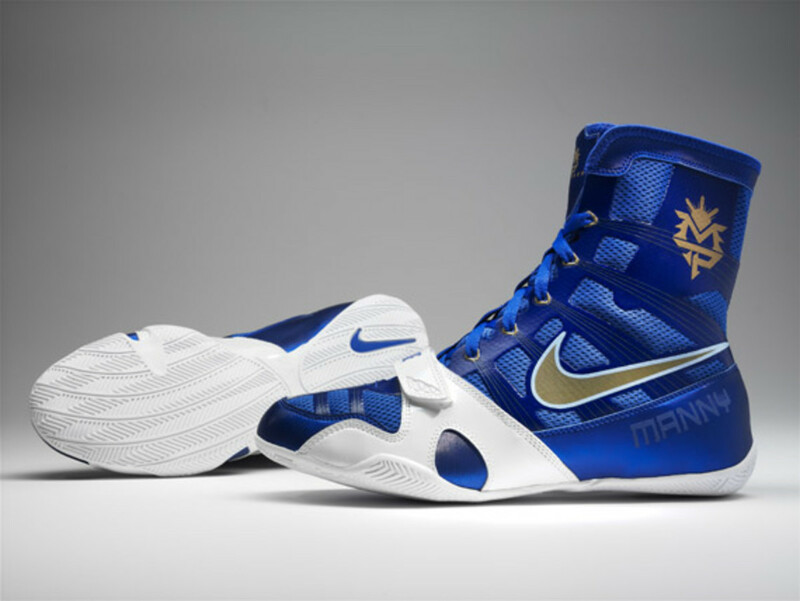 Applied in between are mesh insets, both lightweight and breathable, while key portions are reinforced by patent leather. 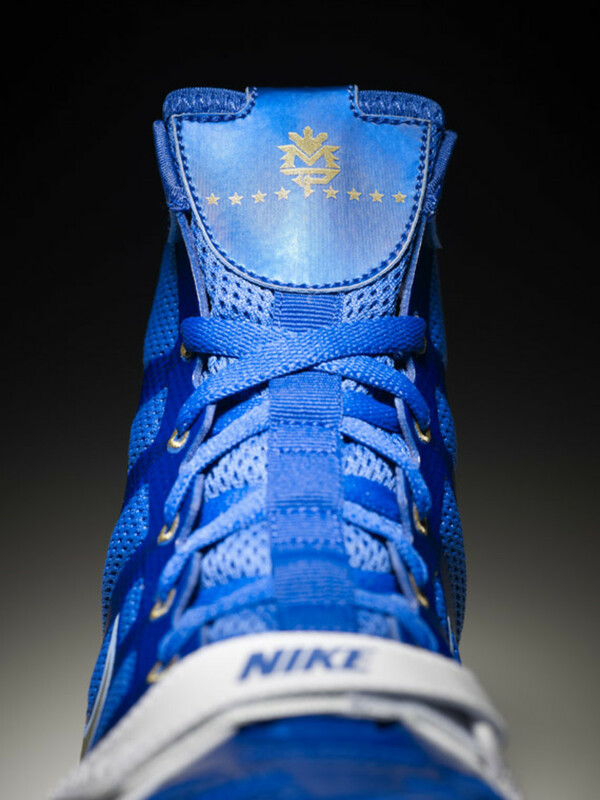 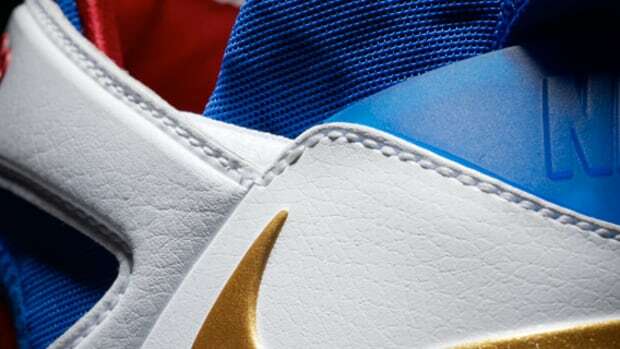 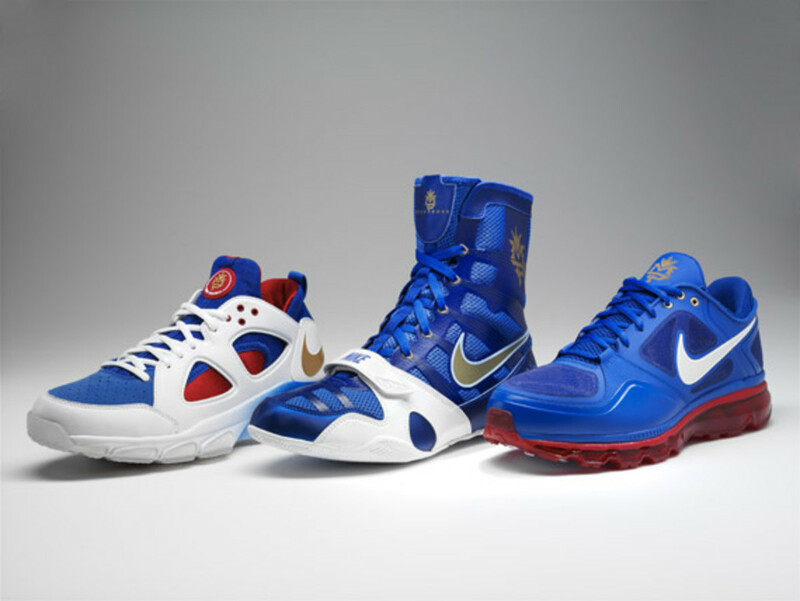 In Philippines&apos; royal blue, a reference to Pacquiao&apos;s love for his country, with white outsole and cross strap. 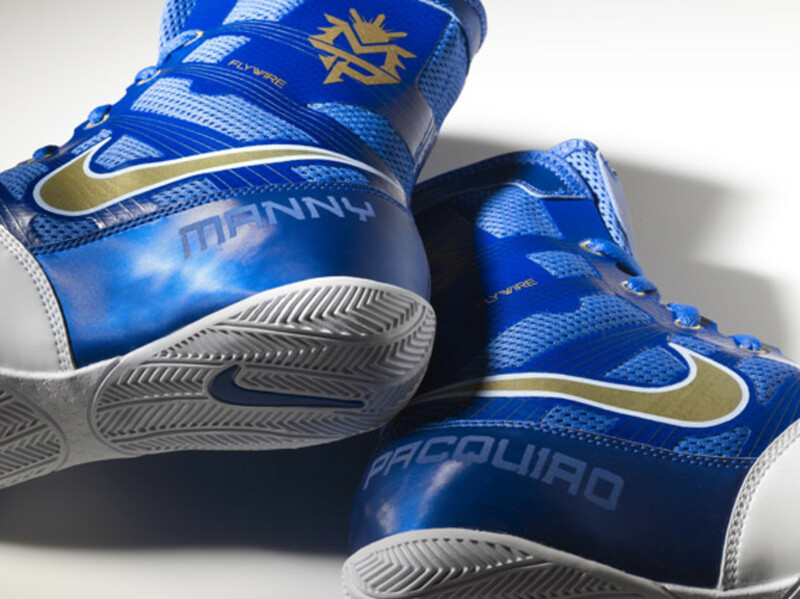 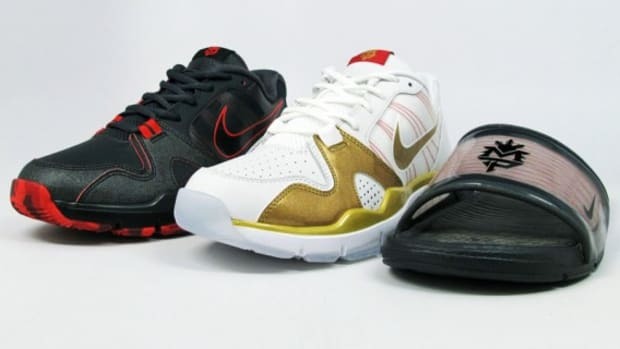 The rising sun Manny Pacquiao emblems are etched in metallic gold with his name running along both heels in reflective paint. 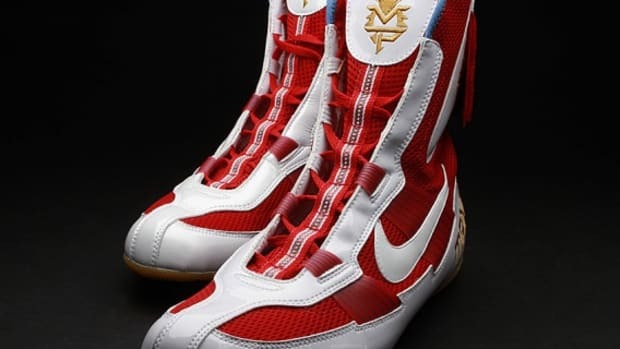 Look and meant for a control output of aggression, the Manny Pacquiao Boxing Boots by Nike Training will appear at the main event on May 7th.